Have any of you heard of the site Teachers Pay Teachers? I am in love with the wealth of free and reasonably priced resources for my classroom available on that site. I am so obsessed I even started my own store to share my own worksheets, projects, and lesson ideas. You can check it out here: https://www.teacherspayteachers.com/Store/Talking-With-My-Hands. In honor of National Teacher Day, many sellers on Teachers Pay Teachers, including myself, are throwing a huge sale on our products. Be sure to check out the site and my store today and tomorrow while the sale is still going on. I already have a list of items to download for my students at the discounted price. If you sell on TpT, feel free to comment with the link to your store. I am always looking for new resources. If you’re looking for DHH resources, be sure to follow me as I often make/upload materials I’ve made for my students with hearing loss, since I know it is hard to find good materials. If you’re looking for something specific that I don’t have available, let me know and I can design something new for you. 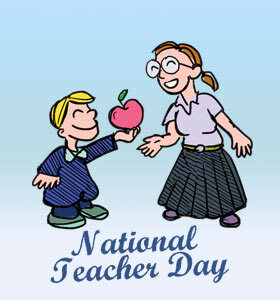 Thanks again to all the teachers out there! Never forget that you do make a difference.